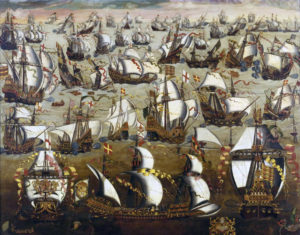 The Spanish Armada Grandey Felicisima Armada as it is called in Spanish was the famous Spanish ship that had sailed from Spain under the control of Duke of Medina Sidonia in July 1588 with the intention of conquering England and thus upsetting the successful reign of Queen Elizabeth I. The reason for the birth of Spanish-Armada was the fact that Philip II of Spain with Elizabeth I ruled England till his wife Mary was killed in 1558 on the Queen’s orders. Elizabeth I of England and Mary, Queen of Scots were half sisters. After his wife’s death, Philip II decided to avenge her death and began to plot a scheme to attack England and uproot the Queen’s rule. His attack and capture of England would also mean that the British will not be able to invade the Spanish assets in the New World. The commander appointed to lead the Armada was Santa Cruz, but he died in before the Armada would sail and Medina Sidonia took charge of the ship. Thus, under the command of Medina Sidonia, the ship sailed through the seas with 22 warships of the Navy and 108 converted merchant ships. The first success for the Armada was outside Gravelines which was the coastal border area between France and Spain occupied the Netherlands. 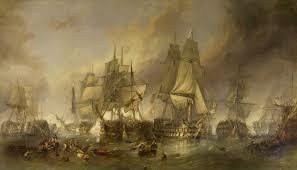 The Armada was waiting to meet the Parma army when they were attacked by the English fire ship and had to leave Gravelines. After this attack, it was decided that the ships would go back to Spain so they traveled from the Atlantic, passed Ireland. The ships while on their way back got caught in a storm which destroyed many of the ships. The ones, who had managed to survive the storm, took shelter in Scotland. On their return home, it was soon discovered that around 50 ships had been lost or destroyed. 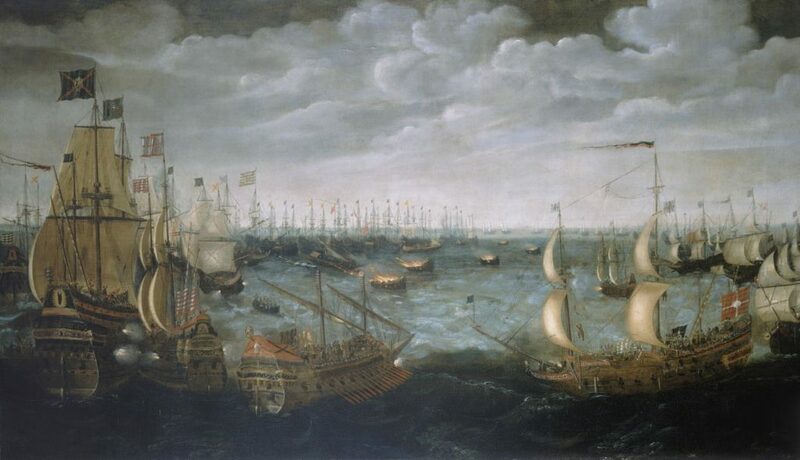 On 28th May 1588, the Armada started from Spain and sailed towards the English Channel. On the same day Queen Elizabeth’s Ambassador, Dr. Valentine Dale made peace agreements with Parma’s representatives. However, on 16th July, the agreements were set aside. The English ships were at Plymouth watching the movements of Spain.